Costco, the world's second largest retailer behind Walmart, recently confirmed that it now accepts Apple Pay and other contactless payment methods at all of its 527 warehouse locations in the United States. 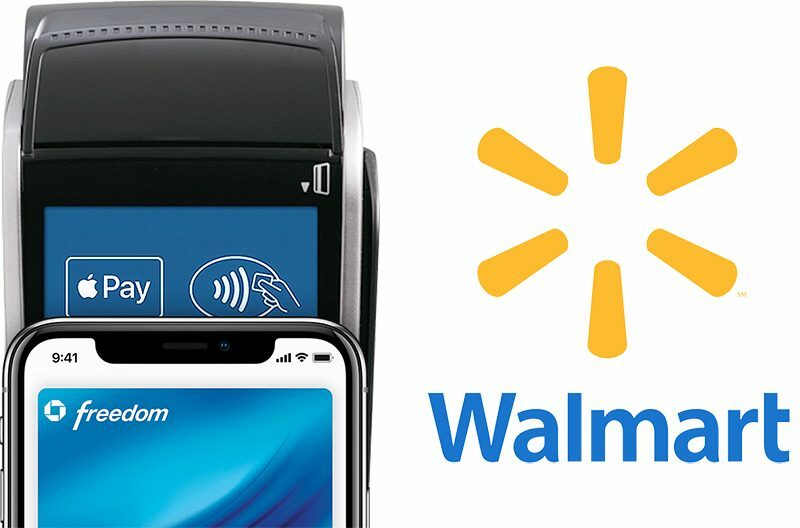 "Walmart Pay is the exclusive form of mobile payment accepted at Walmart and we have no plans for that to change," said Walmart spokesperson Erin Hulliberger, in a statement provided to MacRumors today. In late 2015, Walmart's senior vice president of services Daniel Eckert said Walmart Pay allows "for integration of other mobile wallets in the future," which provided hope that the big-box chain may eventually accept Apple Pay and other contactless payments, but nearly three years later, that has yet to happen. Walmart's resistance to Apple Pay continues despite many other large retailers, including Best Buy, Rite Aid, and now Costco, reversing course and accepting the payments solution in stores. Apple recently confirmed that pharmacy chain CVS and 7-Eleven convenience stores will also accept Apple Pay starting later this year. Last year, rival big-box chain Target likewise said it had "no plans" to make Apple Pay available in its stores, despite accepting it as a payment method in its app. Instead, Target launched a barcode-based solution. Correction: Costco has 527 warehouses in the United States, and 758 worldwide, as of August 2018. And I have "no plans" to ever walk into a Wal Mart on principle of them holding back the advancement of a consumer-friendly tech. Plenty of other, better stores just like it. Look out superior people that *don't shop at Walmart*! That condescension looks good on you. Really. Unlike CostCo, I don't plan to buy anything at Walmart. Good, cause I have exactly ZERO plans to shop at a dumpster store, which tends to attract the lowest common denominator of humanity thru its doors! Ever seen what a Wal-Mart does to surrounding local businesses in the Midwest? I worked at Wal-Mart for one of my first jobs in a Midwestern state for $5.40/hr in the TLE department (2005). How anyone is supposed to afford anything at that income level is beyond me. But it shuts down a ton of local businesses in a 50+ mile radius. Here in CA I don't think it has the same effect but I've never been a big fan of Wal-Mart, and that's coming from an ex-employee. Hardly condescension and superior imo. Conveniently, I have no plans to shop at Walmart, lol. My favorite thing about being in my 30s is that I finally make enough money to avoid Walmart and not feel bad about it. Hy-Vee doesn't take Apple Pay either but we order our groceries online and they show up at our house for free. To me that is worth paying a little more for the cost of groceries! People here take it for granted that they have the choice to go "out of their way" to shop at places that accept Apple Pay. And you act as if the people who shop at Walmart are all incompetent slobs who don't know how to manage money. I have a word for you: we're just barely making it by managing our money and shopping at discount stores. Not everyone has the luxury of living in a stare where the minimum wage is $15, and I'd argue that some of us wouldn't want to. But I can't help noticing your usage of "We're just barely making it by" - including yourself in that ---- and your signature: " 2016 MacBook Pro  12.9" iPad Pro (second generation)  128GB Jet Black iPhone 7 Plus  Watch Series 3 Nike+ (GPS + Cellular) w/ Anthracite/Black Nike Sport Band  TV (fourth generation) (64GB)  TV 4K (32GB) "
I do shop at Wal-Mart, and I pay with Amex. Every time. Have since they started this b.s. Amex has the highest fee for merchants. It's one thing to insult the company that refuses to allow a payment method, it's a totally different and unrelated thing to attack their customer base. Unlike Costco, Walmart is processing more payments than Apple.